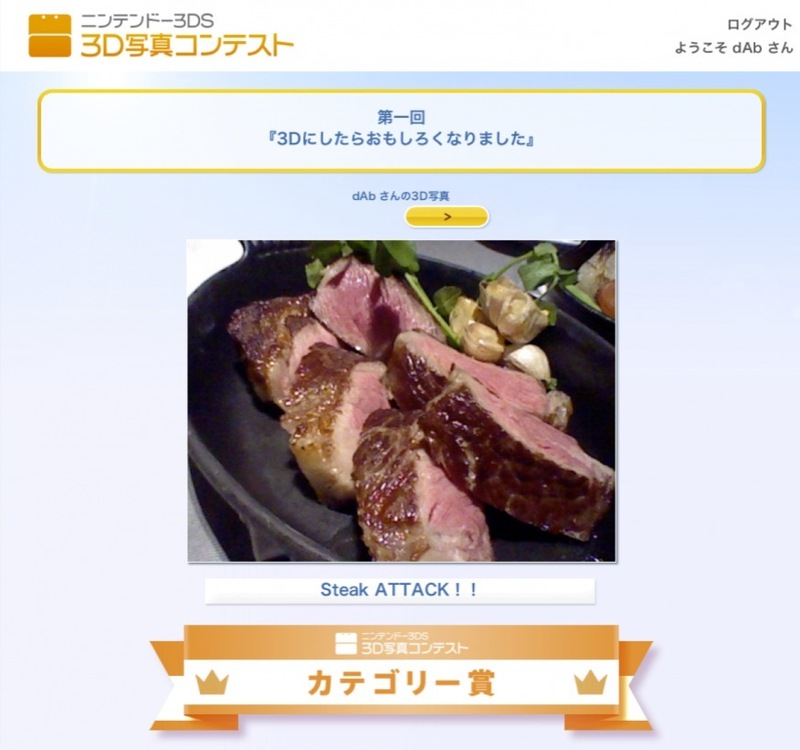 「STEAK ATTACK!」3D photo, taking by Nintendo 3DS in steak house, awarded by Nintendo and had been selected as Category Award for “第一回テーマ『3Dにしたらおもしろくなりました』” in Japan. 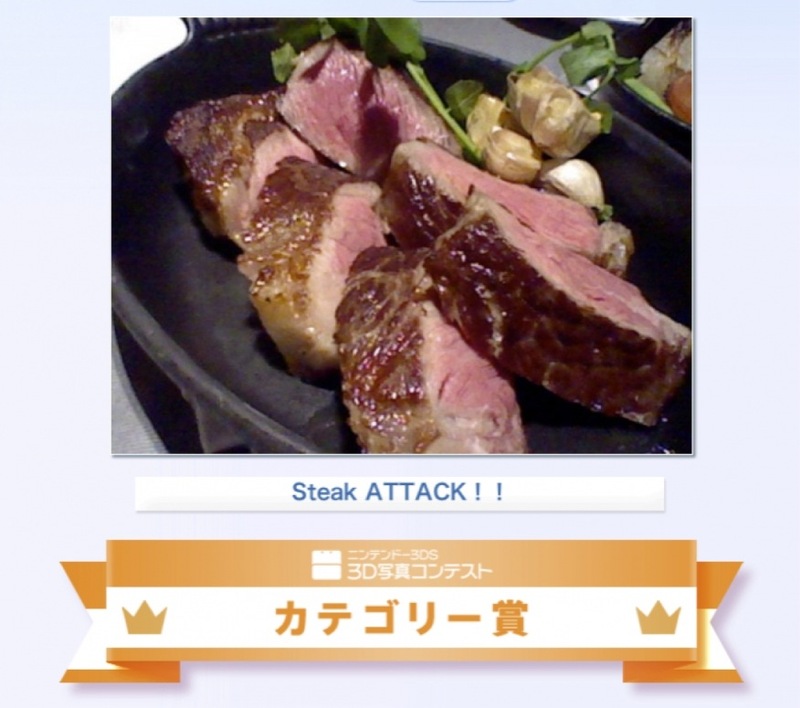 Nintendo 3D Photo Contest was known for the first public 3D photo contest in Japan. The prize is a giant Mario statue shipping from Japan by Nintendo company with a congratulation letter. You can Cross-eyed to see 3D stereo effect, if you want.